The Gilbert T. Rowe Professor of Theological Ethics at Duke Divinity School, Stanley Hauerwas has sought to recover the significance of the virtues for understanding the nature of the Christian life. This search has led him to emphasize the importance of the church, as well as narrative for understanding Christian existence. His work cuts across disciplinary lines as he is in conversation with systematic theology, philosophical theology and ethics, political theory, as well as the philosophy of social science and medical ethics. He was named “America’s Best Theologian” by Time magazine in 2001. 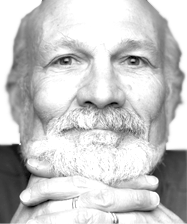 Dr. Hauerwas, who holds a joint appointment in Duke Law School, delivered the prestigious Gifford Lectureship at the University of St. Andrews, Scotland in 2001. His book, A Community of Character: Toward a Constructive Christian Social Ethic,”was selected as one of the 100 most important books on religion of the 20th century. Dr. Hauerwas recently authored Matthew: Brazos Theological Commentary on the Bible, (Grand Rapids: Brazos Press, 2006) and The State of the University: Academic Knowledges and the Knowledge of God, (Oxford: Blackwell Publishing, 2007). Biography taken from Duke Divinity School site.